For smart investors watching the gold-Dow ratio rather than mainstream media headlines, this is an exciting time to be a precious metals investor. The world seems to be conspiring to push the price of gold higher, with continued zero interest rates, Chinese stock market volatility and more unrest in the Middle East. In this interview with The Gold Report, Gold Stock Trades Editor Jeb Handwerger lays out his short list of junior mining companies that have been actively adding value, and that will be in demand when all eyes are on the sector. The Gold Report: In your last interview with The Gold Report, you said that a Federal Reserve interest rate hike would be the best thing for gold. As we now know, the board decided to keep rates at almost zero. How does that impact your projections for precious metals? Jeb Handwerger: It was almost a done deal that the Fed was going to raise interest rates in September, but then the Chinese market began to crash and just the threat of raising interest rates caused a price decline in the S&P 500, the likes of which we haven't seen in a long time. It was a record drop, breaking a major four-year uptrend and forming a technical bearish pattern. The Fed announced on Sept. 17, when it was expected to raise interest rates for the first time since 2006, that it is uncertain about the economy, that the equity markets are too volatile, and that there are too many dangers of another recession. Now the Fed is doing whatever it can to prevent a recession. The global stock markets are beginning to roll over, something I predicted in that same interview, due to fear of a rate increase before the end of 2015. The reality is we have a slowing global economy with the threat of higher interest rates, and that sparked a rally in the precious metals. The gold-Dow ratio is now beginning to turn in favor of precious metals, which are once again seen as a safe haven to preserve capital and protect against markets that are completely overinflated and experiencing record volatility. That is why I have always advocated for a diversified portfolio, including precious metals commodities and high-quality junior mining equities. 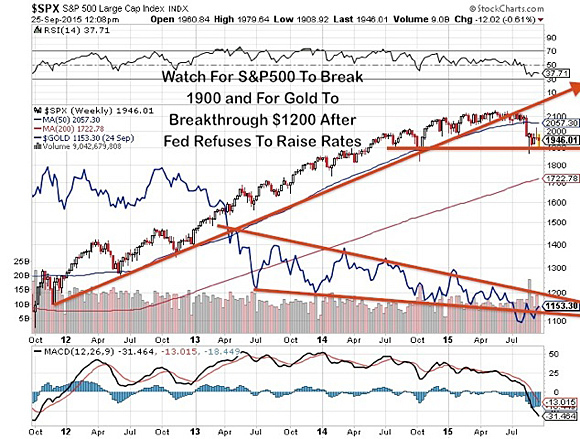 I would not be surprised to see gold at $1,600/ounce ($1,600/oz) and the S&P500 at around 1,600 before the end of the first half of 2016. The bottoming process for the juniors could be taking place now, after a seven-year decline. All of these factors make this a phenomenal time to find assets not correlated to the stock market, the bond market and the U.S. dollar. The best assets inversely correlated to those things are precious metals commodities and junior miners. Now, the junior miners are even cheaper than they were in the late 1990s, when gold was below $275/oz. This could be a once-in-a-lifetime value proposition that may not last much longer. The safest havens during these periods of deleveraging are assets trading near their intrinsic values or at liquidation levels, which we've seen. Many of these miners are trading even below their cash values. "Integra Gold Corp. would be an attractive takeover target; it's only a matter of time before a major wants to add this high-grade asset to its portfolio." The U.S. stock market and the U.S. Treasury markets went straight up for more than four years, boosted artificially by record low rates. They could be due for a possible 30–50% decline. The recent decline was just about 10%. Any rally may be short-lived until the markets return to realistic levels. As soon as that uptrend in equities is broken, we will see a massive rotation into the inversely correlated sectors, which include precious metals commodities and the gold juniors. TGR: You're not the only one saying this. J.P. Morgan just called a bottom for gold. Are you watching the same indicators as the big investment banks? JH: I'm not a fan of big-house reports. I usually look at them as a contrary indicator, but this could mean that the upturn has just become undeniable. The key indicator I watch is the gold-Dow ratio. That is evidence that the trend may be changing. 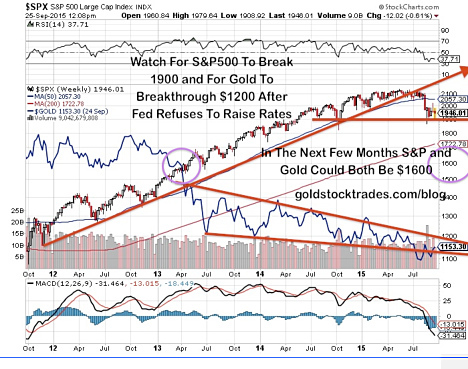 Investors need to look at the relationship between stocks and gold. When that ratio breaks down, it's better to be in precious metals. I also look at the cycles. The decline really began in 2007. This is one of the longer declines, even factoring the bounce after the credit crisis between 2009 and 2011. Over this seven-year period, a drastic reduction in mineral exploration and development due to capital chasing social media and biotech stocks has caused a major shortage of mineral supplies. The recent volatility and increase in the Chicago Board Options Exchange Index (VIX) will send investors back to the junior miners as a way to diversify out of overvalued stocks and bonds. That is why a portfolio of choice junior mining investments is more valuable than a statement might show today. TGR: What kind of junior mining company can do well in this upward-turning environment you're describing? "Pershing Gold Corp. is positioned for outperformance in the coming new bull market." JH: I look for companies actively drilling. I don't waste my time with companies that don't really have a game plan for building fundamentals and creating value for shareholders. You have to know the management team, and it has to have clear, set goals with news flow and guidelines. TGR: What are some top stocks you're watching that fit those criteria? JH: Integra Gold Corp. (ICG:TSX.V; ICGQF:OTCQX) recently announced a major $14 million ($14M) investment from Eldorado Gold Corp. (ELD:TSX; EGO:NYSE). Integra is getting impressive, high-grade results from its current drill program. It is getting validation from a major mining company and major investors during a bear market. That's exciting. TGR: Could Integra be a takeout target? JH: The validation from Eldorado, plus the increased funds to advance this project and continue making discoveries, makes me think Integra would be an attractive takeover target. As this company develops, it's only a matter of time before a major wants to add this high-grade asset to its portfolio to get rid of some of the crap causing problems to the bottom line. We're already seeing a number of major mining companies doing that. They're getting rid of their uneconomic projects in risky jurisdictions and they're looking for lower capital expenditure, high-grade, extremely economic, robust projects like Integra and Pershing Gold Corp. (PGLC:NASDAQ). TGR: What makes Pershing attractive to a major? JH: Pershing is continuing to drill at a record pace. It has a huge, strong treasury. It is fast-tracking a great project that is continuing to build value in Nevada. This is an exciting time because this state has been ignored due to the strength of the dollar. Most investors like the Canadian assets because they can get better margins if their costs are in Canadian dollars and their sales are in U.S. dollars. People thought the dollar was going to go higher if the Fed raised interest rates. Now that the dollar is beginning to turn over, that might reignite interest in Nevada gold mining. Pershing Gold has a fully permitted mine and mill at Relief Canyon. It is getting exceptional results with four drills currently on the property. It has a great shareholder base. The largest shareholder is the billionaire Dr. Phillip Frost. Pershing has a strong treasury, and has newly uplisted to the NASDAQ with a share rollback. It has a clean balance sheet and an excellent share structure. It is positioned for outperformance in the coming new bull market. "Red Eagle Mining Corp. is in construction of an extremely high-grade, underground and robust economic mine." Another Nevada company, Corvus Gold Inc. (KOR:TSX), just received a $2M investment from Resource Capital Fund VI L.P. in a tough market. That tells you something about the credibility of exploration at the North Bullfrog project, located an hour's drive from Las Vegas. Management came out with a preliminary economic assessment showing impressive numbers, but it's trading at an all-time low. Corvus has Tocqueville Gold Fund, AngloGold Ashanti Ltd. (AU:NYSE; ANG:JSE; AGG:ASX; AGD:LSE) and Van Eck Associates Corp. as major shareholders. That is a lot of institutional capital in this company, which is led by Jeff Pontius, who has decades and decades of exploration experience leading AngloGold Ashanti's gold exploration team in North America. Staying in Nevada, NuLegacy Gold Corporation (NUG:TSX.V; NULGF:OTCPK) has earned into the Iceberg project with Barrick Gold Corp. (ABX:TSX; ABX:NYSE). It is right next to Barrick's Goldrush discovery. NuLegacy has hit some impressive holes over the past few months. Barrick will have to decide by the end of the year whether to take this forward or stay a minority partner. Barrick has had a lot of problems in other areas. Its best mines are in the Cortez Trend in Nevada, where NuLegacy is. I think the best move is to secure those assets before a midtier swoops down and picks up that position. That's an exciting project that has seen some results in Nevada. TGR: Is there another company that is well positioned? JH: Red Eagle Mining Corp. (RD:TSX.V) owns the Santa Rosa deposit near Medellin; it is the first mine that's been permitted in Colombia in over 20 years, a significant announcement. Red Eagle is in construction of an extremely high-grade, underground and robust economic mine that is coming into production over the next 12–18 months. That is an exciting project that should be on the radar of investors. TGR: Is the market taking notice of that announcement? JH: Red Eagle has outperformed the juniors. It's still holding up there near its 52-week highs, but it hasn't broken out. Nothing in the entire sector on the development side has been breaking out yet. But this is one to watch. TGR: Can you leave us with one more name to put on our radar? JH: Carlisle Goldfields Ltd. (CGJ:TSX; CGJCF:OTCQX) just announced an exciting discovery at the Lynn Lake gold camp in Manitoba. Carlisle is partnered with Alamos Gold Inc. (AGI:TSX) to develop a feasibility study. Alamos may consider Carlisle a takeout target, especially as the junior mining sector turns around. One of the things that I like about Carlisle is very few juniors have a major company like Alamos operating and funding exploration and development and drilling. It is kind of getting a ride on the development from Alamos, which took over AuRico Gold Inc. (AUQ:TSX; AUQ:NYSE). I expect to see more progress in the next few months. TGR: Based on the macro-picture you have painted for us, how are you adjusting your portfolio for the rest of 2015? What is your strategy? JH: I'm continuing to build positions in high-quality companies. I think now is an excellent time, especially when companies are offering three- to five-year warrants and financings. For accredited investors who haven't yet had exposure to the junior mining sectors, that is an opportunity to diversify out of stocks and bonds and general equities. We are already beginning to see the beginning of a bottoming process in the junior miners and a breakdown of the stocks. If you have a three- to five-year window, there could be an exceptional amount of wealth created. TGR: Thank you for your time, Jeb. Jeb Handwerger is an author, speaker and founder of Gold Stock Trades. 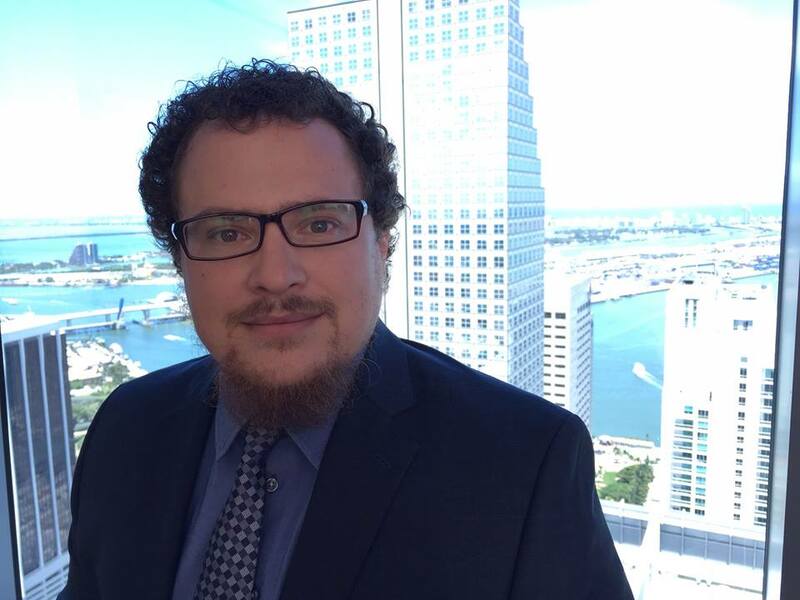 He studied engineering and mathematics at University of Buffalo and earned a master's degree at Nova Southeastern University. In 2014, Jeb was the first to highlight the top two performers of the Best OTCQX 50. Handwerger began investing in junior mining equities in the late 90s, avoiding the dot-com crash. In early 2009, at the depth of the credit crisis, Handwerger began the Gold Stock Trades website for investors to become more aware of exciting developments in the mining and natural resource sector. He has remained active in pursuing his professional career in TV, film and theater. He has performed in numerous award-winning Broadway/off-Broadway productions, several well recognized feature films and dozens of worldwide commercials. 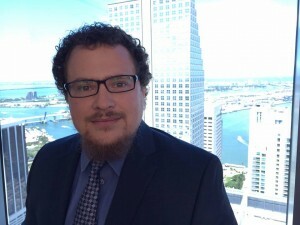 In addition to finance and acting, Handwerger is passionate about education, and taught business to lower socioeconomic students from seventh grade to adults in the Broward County Public School System. 2) The following companies mentioned in the interview are sponsors of Streetwise Reports: Integra Gold Corp., Red Eagle Mining Corp., Pershing Gold Corp. The companies mentioned in this interview were not involved in any aspect of the interview preparation or post-interview editing so the expert could speak independently about the sector. Streetwise Reports does not accept stock in exchange for its services. 3) Jeb Handwerger: I own, or my family owns, shares of the following companies mentioned in this interview: Integra Gold Corp., Red Eagle Mining Corp., Pershing Gold Corp., Carlisle Goldfields Ltd., NuLegacy Gold Corporation and Corvus Gold Inc. The following companies mentioned in this interview are advertisers on my website: Integra Gold Corp., Red Eagle Mining Corp., Pershing Gold Corp., Carlisle Goldfields Ltd., NuLegacy Gold Corporation and Corvus Gold Inc. I was not paid by Streetwise Reports for participating in this interview. Comments and opinions expressed are my own comments and opinions. I determined and had final say over which companies would be included in the interview based on my research, understanding of the sector and interview theme. I had the opportunity to review the interview for accuracy as of the date of the interview and am responsible for the content of the interview. Is Junior Gold Miner Relative Strength Forecasting Powerful Relief Rally in January?